Floreal La Roche-en-Ardenne La Roche-en-Ardenne, Hotel Belgium. Limited Time Offer! FlorÃ©al Club. "FlorÃ©al Club" has obtained 3 stars. 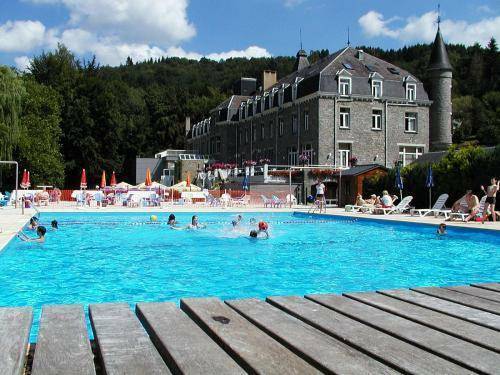 It is situated in La Roche-en-Ardenne. The romantic accommodation boasts a total of 76 bedrooms. The rooms are modern and elegant. Children can play safely in the private garden. Take advantage of the heated, outdoor pool. By participating in mini-golf you have the opportunity to make your stay a more active one. There are also multiple sporting activities for guests, like moutain biking, canoeing, volleyball, pool, bowling, table tennis and tennis. The sports facilities include a tennis court, a pool table and boats. This residence has its own restaurant. A bar is available for you to enjoy a drink after dinner. Breakfast is served each morning and provides you with a good start to a new day. Business travelers will appreciate that there is Internet access available at no extra charge.